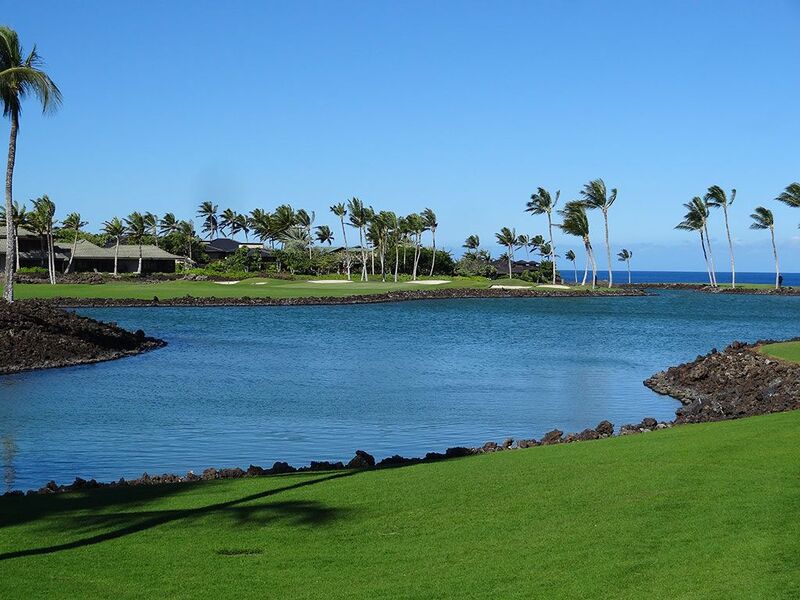 Course Website: Official Website - Visit Mauna Lani Resort (South)'s official website by clicking on the link provided. 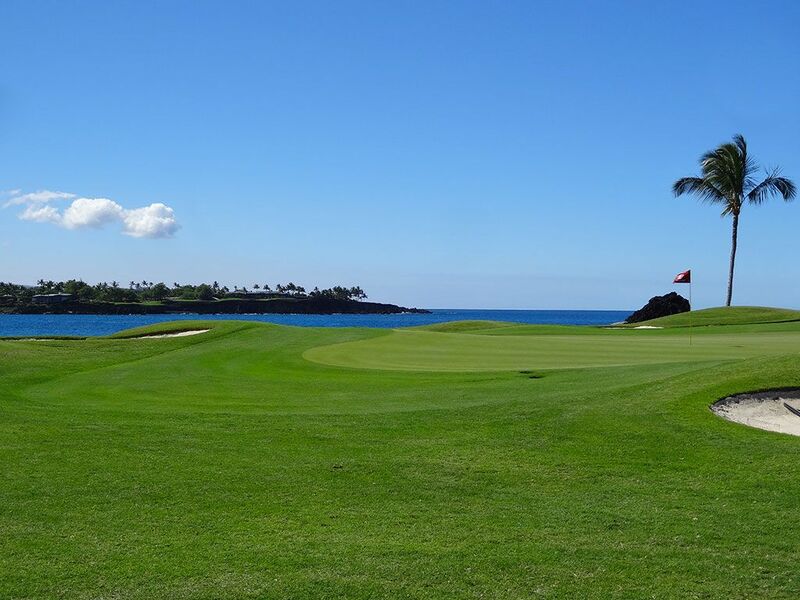 Accolades: Ranked 17th in Hawaii on Golf Course Gurus' Best in State list. 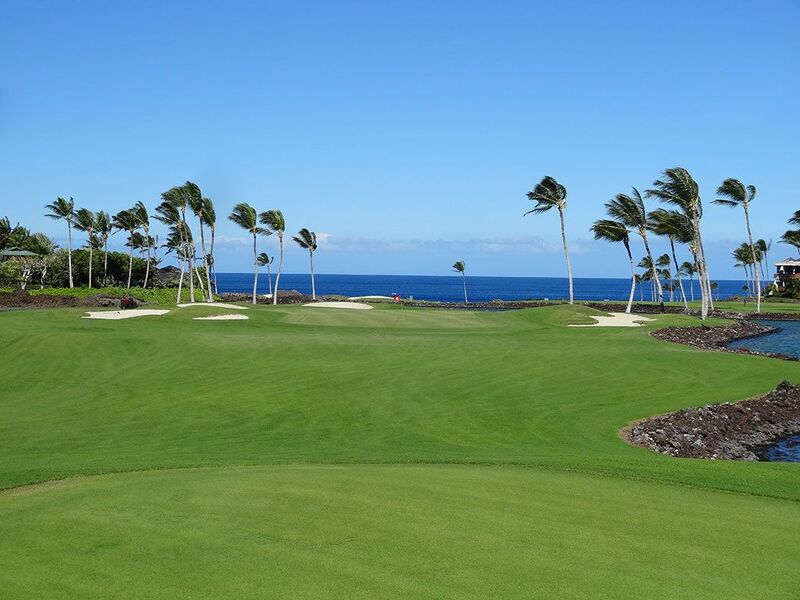 What to Expect: Mauna Lani Resort is host to both the visually impressive South course and the more challenging North course. 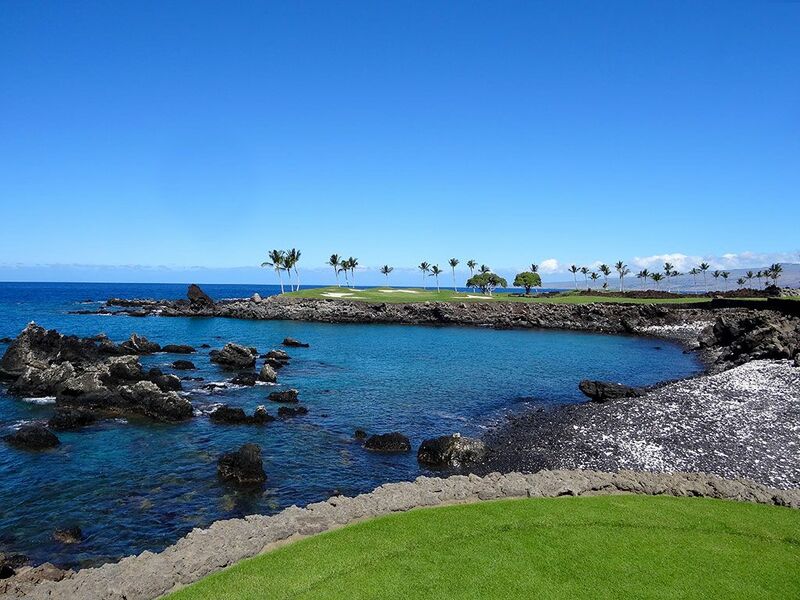 The South course is carved through the lava fields that are so prevalent on the Kona side of Hawaii's Big Island with a couple of trips to the coastline highlighted by the signature 15th hole. 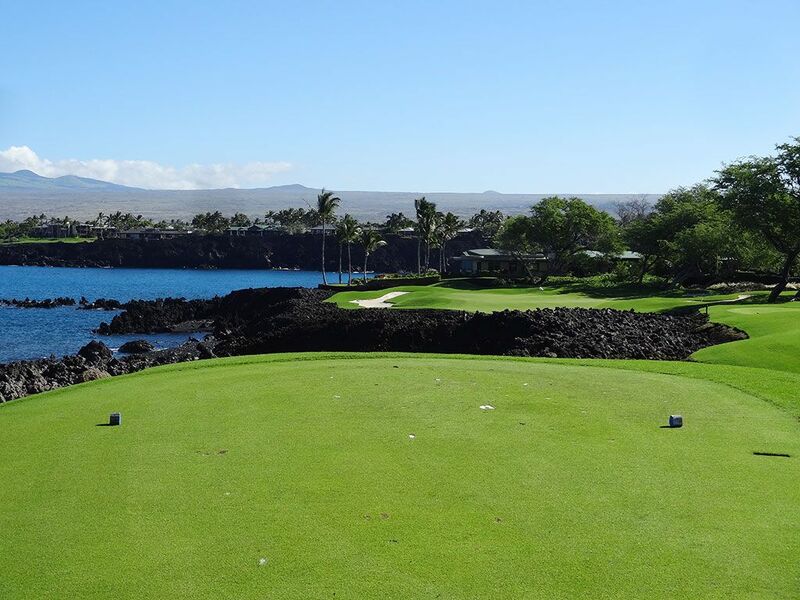 The fairways throughout the course are generous in width which is a welcome feature considering shots that leave the fairway will either be praying for a lucky kick out of the lava rock or will find its way into a neighboring residence. Distances between greens and tees in certain spots makes walking the course an impractical option however the terrain is subtle enough that walking wouldn't be very strenuous. 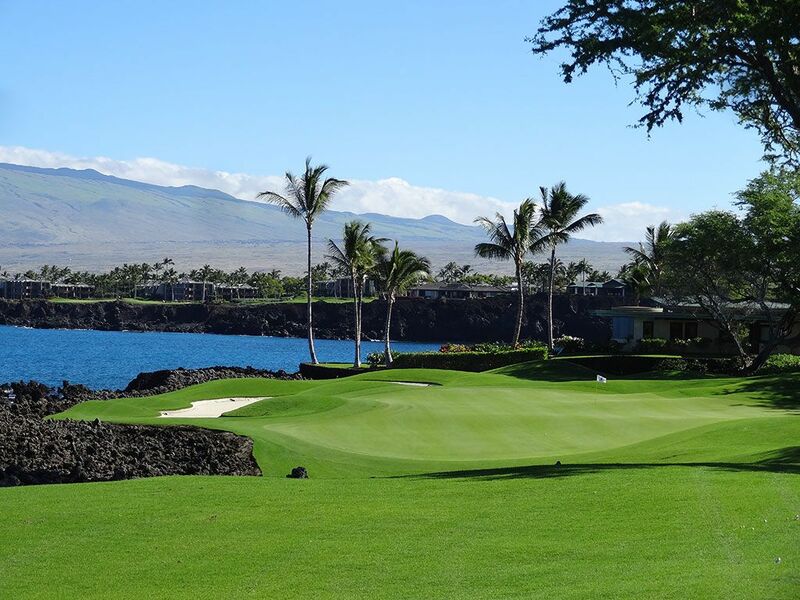 The course is much more playable for the average golfer than Mauna Kea while still providing some ocean eye candy that every golfer in Hawaii wants to enjoy. The course conditions are quite good though the heavy amount of play keeps the course from being elite in that category. The highlight of the course is the quality of one-shotters found throughout the property with two routed on the ocean and another playing over water towards the Pacific. Signature Hole: 15th Hole – 196 Yard Par 3 – This is simply one of the most beautiful par threes in the world. The beautiful blue ocean water with lava rock outcroppings in the foreground of the striking peninsula green with a lava rock support wall along with a scattering of palm trees is truly a spectacular sight. Golfers are given a sneak preview as they come down the 13th fairway but are then taken away from the hole and ocean all together when they play the 14th. The 15th hole is featured all over Mauna Lani's marketing and when advertising golf in the state of Hawaii due to just how impressive it is. The photos will tell more of a story than I can offer in words and neither one gives the justice of being there in person. This hole alone is virtually worth the green fee. Best Par 3: 7th Hole – 214 Yards – Given the hype the 15th hole receives, the 7th hole receives virtually no attention though it is highly appealing as well. 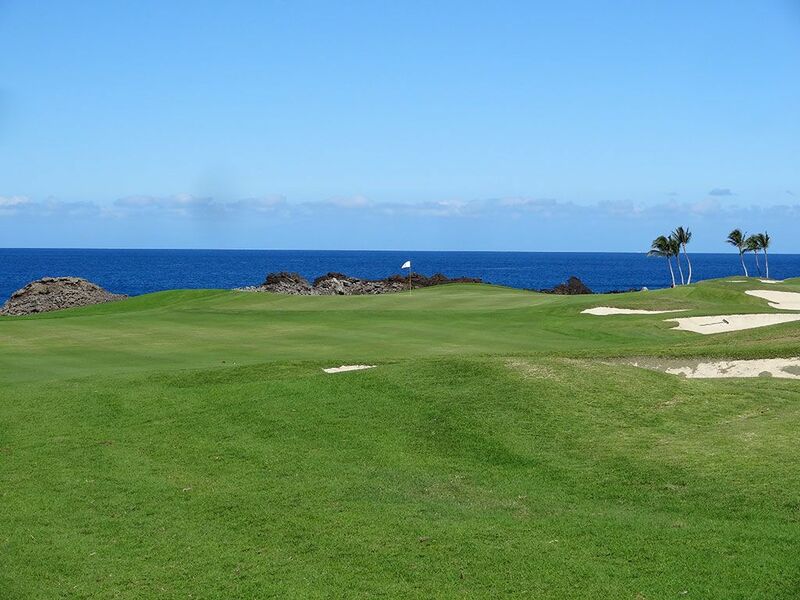 This attractive one-shotter plays down the lava rock coastline with a stark contrast between the beautifully clear ocean water, black lava, green grass, and white bunkers. The right side offers a bail out area for players that would rather challenge themselves getting up and down with a chip rather than bringing the ocean left of the hole into play. 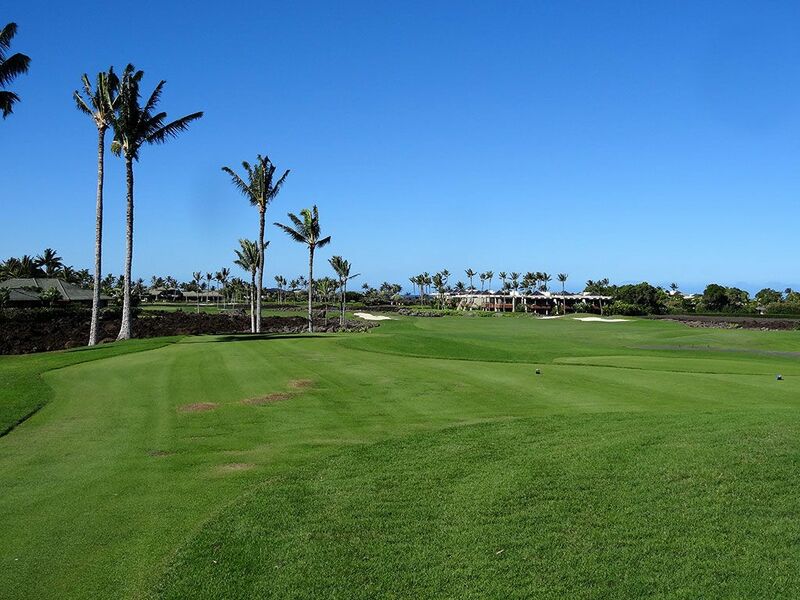 If like some eye candy while playing golf then you won't be disappointed with the 7th hole at Mauna Lani's South course. Best Par 4: 11th Hole – 402 Yards – I love dogleg holes that give players the opportunity to challenge the corner in a risk/reward scenario which is exactly what is offered here. 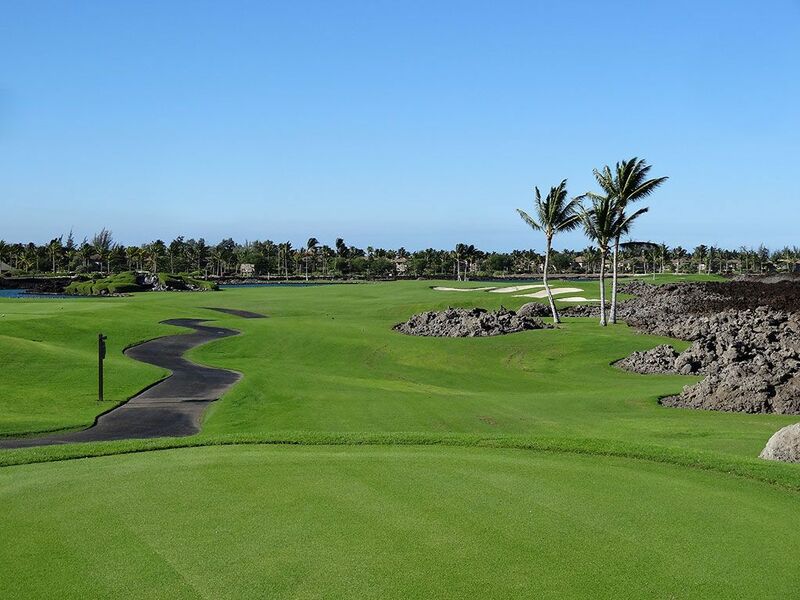 A series of palm trees and lava rock protect the inside of the dogleg left and pose the risk portion of this hole. Players that successfully fly the dogleg will be left with a short approach shot into the green and thus a great opportunity to score. Best Par 5: 4th Hole – 581 Yards – Lava rock is extremely prevalent on the Big Island of Hawaii and is thus commonly used as a hazard to contend with. On the 581 yard 4th hole lava rock encompasses the entire right side of the hole while water is found up the left side. Shots that hit the lava rock have a decent chance of kicking back onto the fairway but have a greater chance of finding a final resting place deep in the sharp edged lava bed. This hole can often play downwind and will open the possibility of reaching this hole in two, but it all starts with a big drive that avoids the water and lava. Birdie Time: 13th Hole – 380 Yard Par 4 – This relatively short par four plays downhill towards the coastline and provides an impressive ocean backdrop to play towards. The fairway is plenty wide and the hole doglegs to the right which gives players an opportunity to grip it and rip it in an effort to challenge the corner and shorten up the hole. The opening to the green is uninhibited and gives players the opportunity to fly their approach in or chase one on the ground thus providing players of all styles an excellent chance to hit their shot close. With a wide fairway and open green, this is a great chance to swing away and card a birdie. 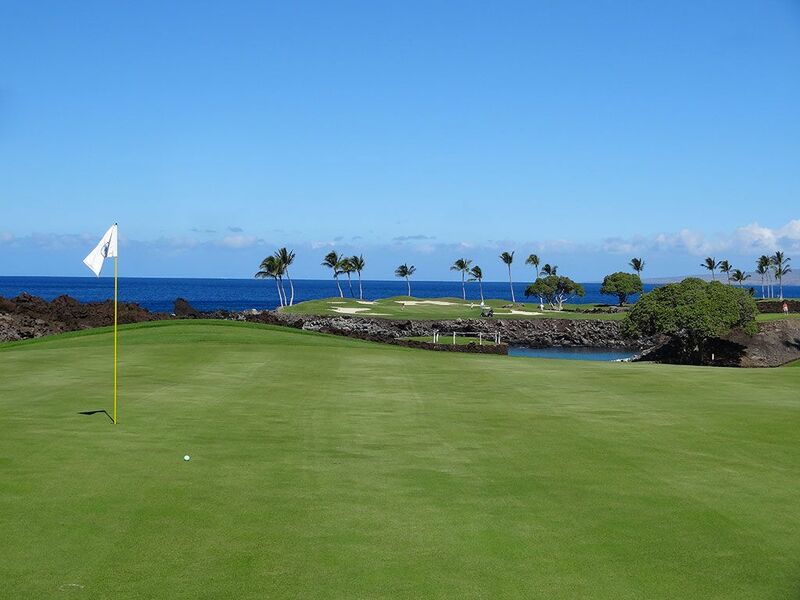 Bogey Beware: 12th Hole – 198 Yard Par 3 – The par threes at Mauna Lani may be the most impressive highlight of the course and this challenging one-shotter contributes to that accolade. In preparation of playing the all-world 15th hole, the 12th plays over a pond with little room for error if you don't make your best effort. The bailout area is left of the green where a landing area exists well short of the putting surface. With the hole exposed to the ocean winds and the unforgiving water hazard fronting the green, this hole creates a very difficult club selection and scoring problem.